Sadly, the first international award my work had won will probably never be won by anybody else. 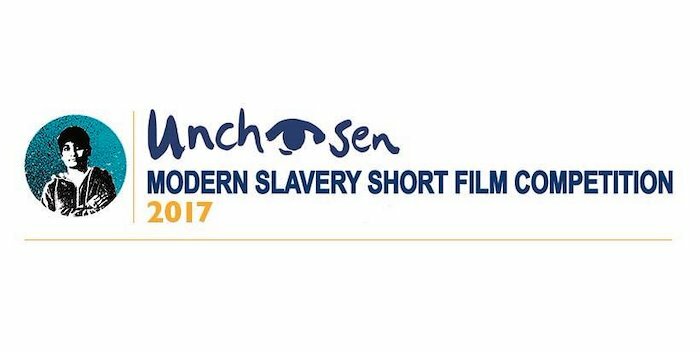 Unchosen, the films against modern slavery is shutting down. The archives are available at the encounters festival. 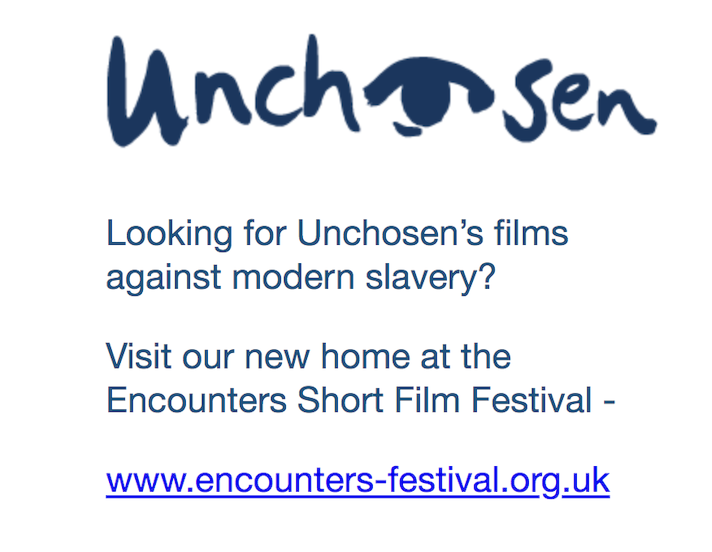 Unchosen is highly respected across the anti-slavery sector and beyond for its unique film resources and its national events, conferences and training. Our aim is to increase awareness of modern slavery, ensuring that more victims are found and more perpetrators are prosecuted. Our events and conferences increase awareness of modern slavery in local communities and in specific professions: we particularly target frontline workers and ‘first responders’ those professionals such as the police and local authorities who have a legal duty to enact the National Referral Mechanism (NRM) the framework by which potential victims of slavery are given support and accommodation. Our events show people that slavery happens in their area; what the signs are; and what they can do to combat it. The events also provide a platform for networking and collaborations for agencies already working in this or related fields. At each public we work in conjunction with a local partner who delivers the event on the ground. The events generally involve three film screenings and a Q&A session between anti-slavery experts and the audience. Conferences normally include workshops and/or presentations from experts. Panellists are usually local leading anti-slavery experts who represent the diverse spectrum of police, safe house providers, government representatives or campaign organisations. All our films are based on real-life case studies. 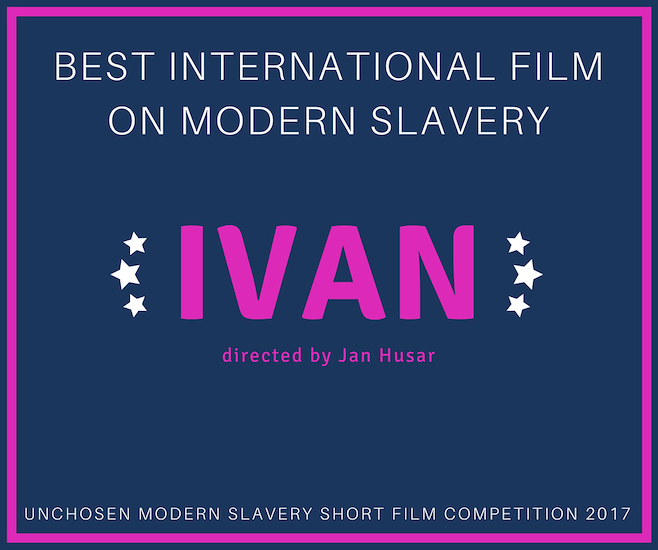 Most short films are award winners from previous Unchosen Modern Slavery Short Film Competitions, but we also produce films and animations in-house. All our films are available to download from Unchosen website. Unchosen has also created a series of film packages titled Films Against Slavery – there are four of these on Modern Slavery, Sexual Exploitation, Forced Labour and Child Slavery. These standalone film packages are designed to be used at trainings, small events or during your lunch break, taking less than 20 minutes to get an overview of modern slavery. Each package includes an animation followed by one of our powerful short films and a informational film, interviewing experts in the field. The packages also include information on spotting the signs of slavery and how to take action. “The awareness videos produced by Unchosen are an excellent portrayal of how modern slavery manifests itself in society. Unchosen have a proven track record for producing excellent material for raising awareness and I would encourage organisations, agencies and communities to watch these short videos in order that they can begin to understand this abusive crime.” The Independent Anti-Slavery Commissioner, Mr Kevin Hyland OBE, August 2015.